Kwality scrip is currently trading at Rs. 18.20, up by 0.20 points or 1.11% from its previous closing of Rs. 18.00 on the BSE.The scrip opened at Rs. 17.50 and has touched a high and low of Rs. 18.45 and Rs. 17.30 respectively. So far 153615 shares were traded on the counter. The BSE group 'A' stock of face value Rs. 1 has touched a 52 week high of Rs. 155.35 on 29-Aug-2017 and a 52 week low of Rs. 17.30 on 12-Jul-2018.Last one week high and low of the scrip stood at Rs. 20.50 and Rs. 17.30 respectively. The current market cap of the company is Rs. 439.26 crore. 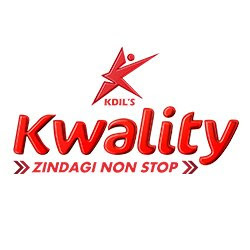 The promoters holding in the company stood at 54.76%, while Institutions and Non-Institutions held 5.99% and 39.26% respectively.Kwality has deliberated the length of issues connected with recession in Global Market specifically slowdown of dairy product business in UAE, hence the business operations of Kwality Dairy Products FZE Dubai- UAE (A wholly owned Subsidiary) of the company, are hindered especially on account of heavy slum in international price of SMP and AMF. Hence the board collectively decided to close business operations of Kwality Dairy Products FZE Dubai- UAE (a wholly owned Subsidiary) of the company in phased manner. Kwality is one of the largest and fastest growing private dairy companies in India today with milk processing capacity, through its six state‐of‐the‐art plants strategically located close to key north markets.